For your consideration, my whimsical fox creation. At times I enjoy creating pieces that are fun while maintaining the quality of all my bags. 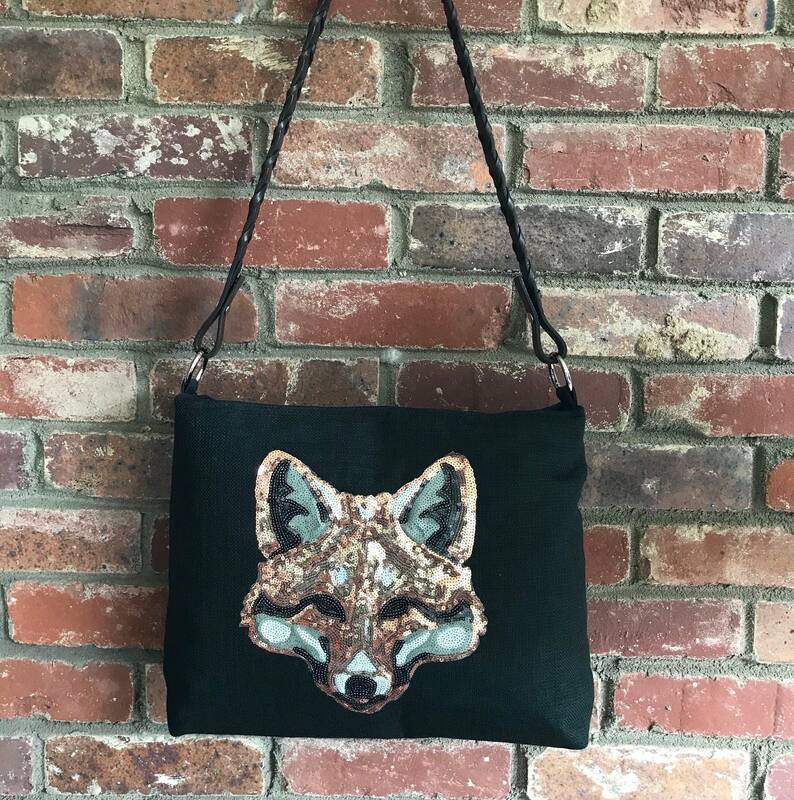 This bag has a large sequin fox on one side sewn on to a woven durable black fabric. 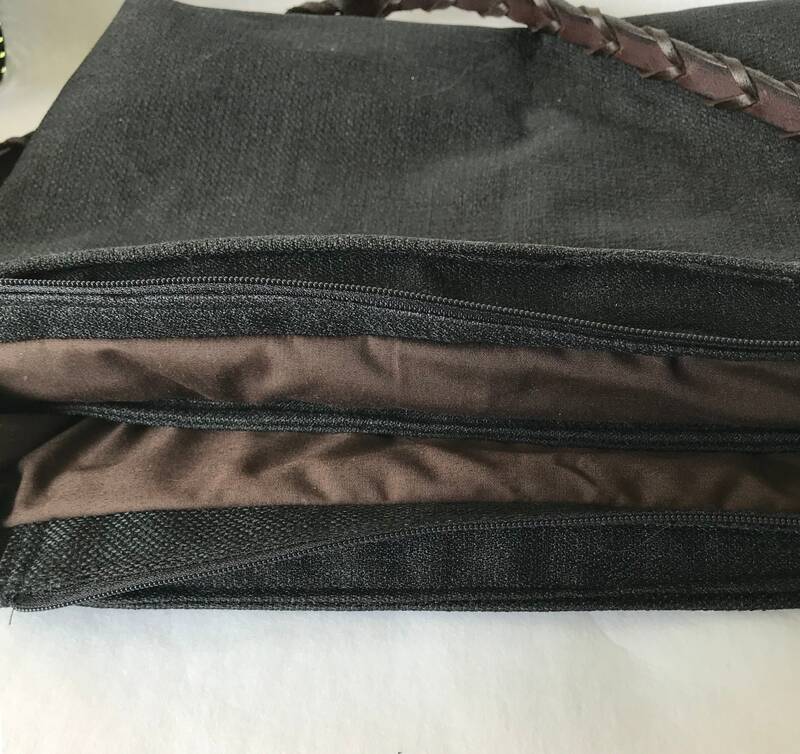 It has a recessed zipper, 2 interior pockets and is finished off with a leather laced rein. All findings and hardware are top of the line as always. It has 2 layers of interface so as to maintain its shape. 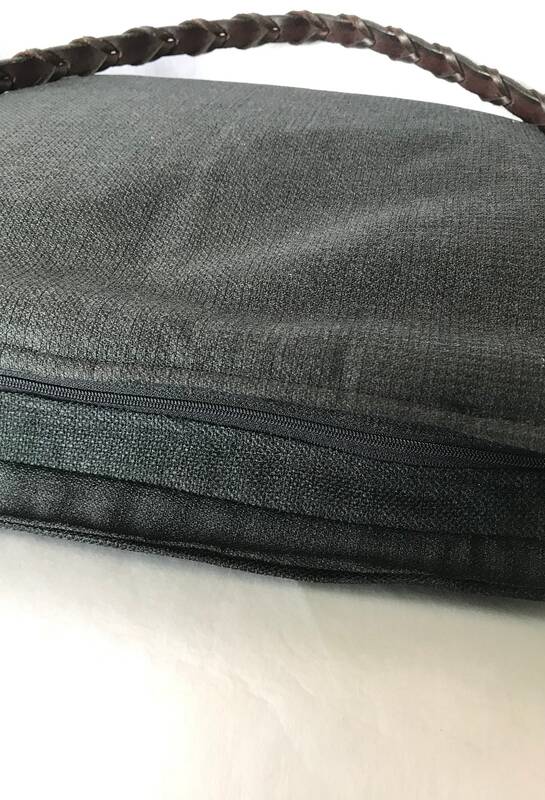 The bag measures 14x12 and is large enough to carry your iPad in . 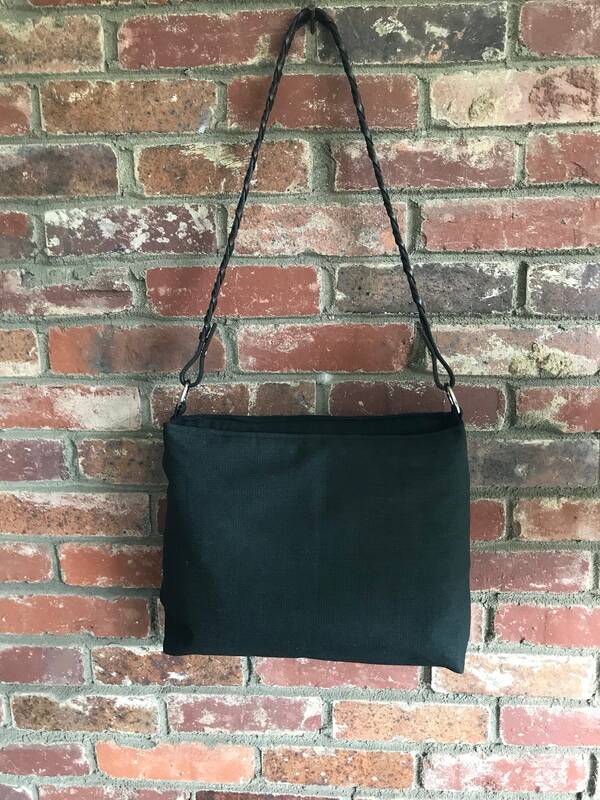 If you would like this bag in a different color or size, message me and we can create one to your specifications.